The Brunswick Shopping Centre in Bloomsbury was the centre of a Great British City Style event this weekend, with a promotion and PR campaign created by Golden Goose PR, working in association with luxury travel experts Mr & Mrs Smith. Free gifts – ranging from hair-cuts from Sanrizz to £100 shopping vouchers from Hobbs, French Connection accessories, dinner and wine at Carluccios and Renoir Cinema tickets for two – were given away to passers-by to win on the spot. Through working with Mr & Mrs Smith, we were able to offer shoppers £100 Mr & Mrs Smith Get a Room! gift cards to use towards a four-night stay in any Mr & Mrs Smith hotel – including Babington House, Browns and Blakes in the UK. 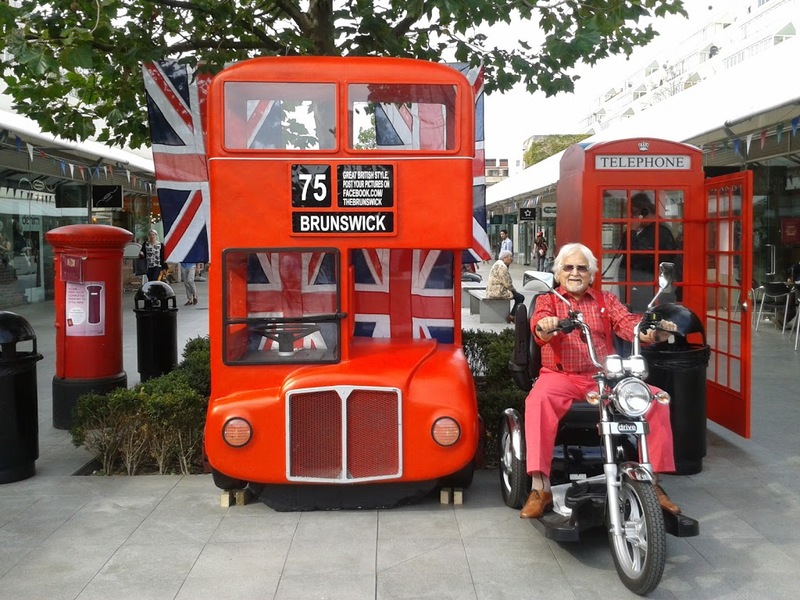 There are 42 shops and restaurants at the Brunswick Centre, open from 9am until 9pm from Monday to Saturday and from midday until six pm on Sunday.